When my husband asked me to teach him how to cook this week, I was a little skeptical at first, considering he can’t even boil a cup of tea. I wanted to start off with the basics because I did NOT want to scare him away, after all, this opportunity comes once in a lifetime. It’s either he’s going to love cooking and help me forever or give up. 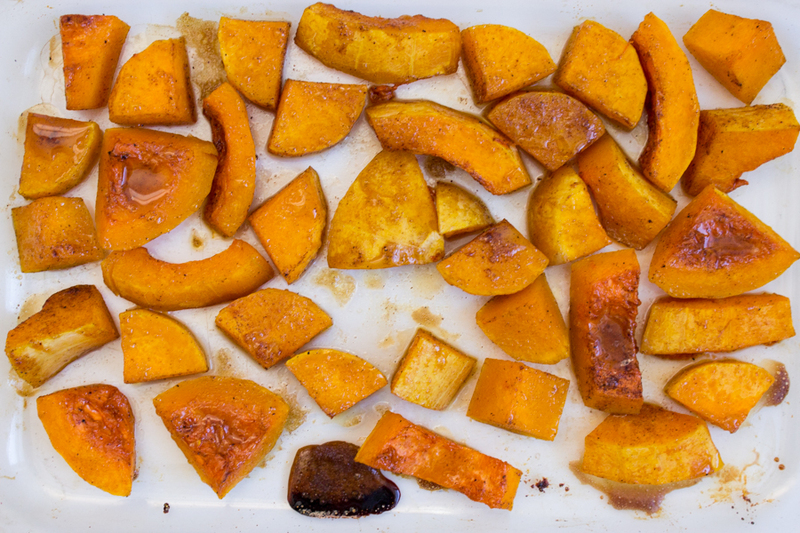 I decided to go for this roasted squash recipe because it’s you really can’t go wrong with it. 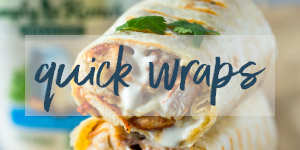 It’s easy quick and delicious. 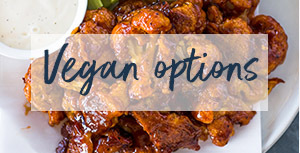 Another thing I love about this recipe is that it’s vegetarian and vegan so we can enjoy it without the guilt. I had to peel the squash myself because peeling can be a little tricky. You can leave the peal but we chose to peal on it because we wanted a more creamer texture. 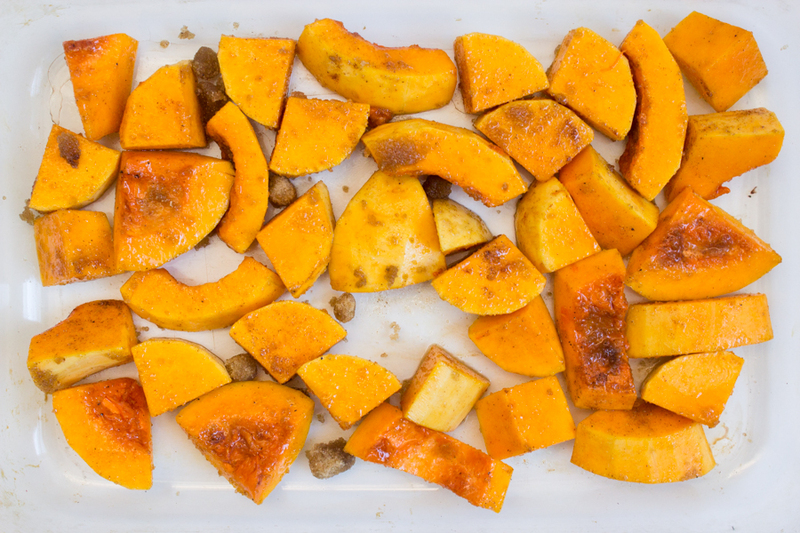 After peeling the squash we cut it up into small wedges and mixed combined it with brown sugar, salt, pepper, cinnamon, and olive oil. We baked at 425 degrees for 20 minutes. 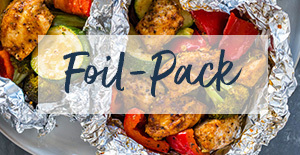 Cooking times will vary based on the pan you use, the type of oven, and the size of the pieces. I generally recommend 15-20 minutes. If you want a more softer and creamier texture baked for no more then 20 minutes. For a more roasted crispy texture go ahead and leave them in there for 25-30 minutes. In the end, it’s all about preference. 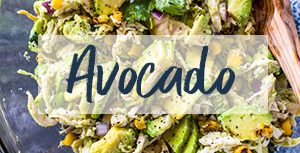 I love this recipe because it can be eating with kitchen or served as a side. If you are vegetarian or vegan you can even have the squash on rice. Either way it makes a wonderful year round meal. Heat oven to 425 degrees. Peel squash and remove the seeds. Cut into 1 inch wedges. You can also cut into smaller or chunkier pieces or into the shape of fries. 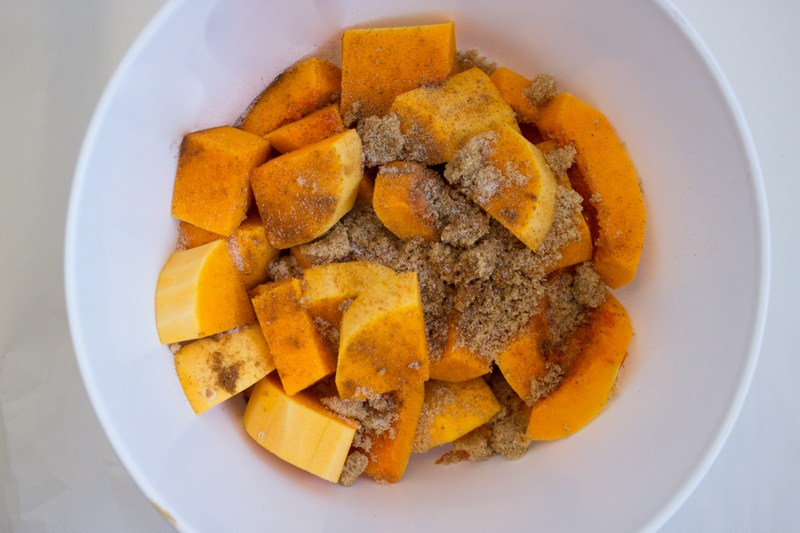 In a large mixing bowl mix all the ingredients, the squash, olive oil, salt, cinnamon, black pepper, and brown sugar until well combined. Pour onto a non greased baking try or baking pan. You can use glass or aluminum( we used glass). make sure non of the pieces are over lapping. The further apart the pieces are the more roasted they will be. Place in oven for 20 minutes. Poke a fork into one of the pieces to make sure the squash is well cooked. Remove from oven and serve warm or cold. I don’t like butternut squash. can i replace it with something else, because this sounds really good. If you make this the night before how would you warm it up? Also can you use coconut sugar instead? Mmmm, I want roasted squash now!!! 🙂 This is a great, easy side dish! I think it’s awesome that your husband wants you to teach him to cook! What a fun adventure together! 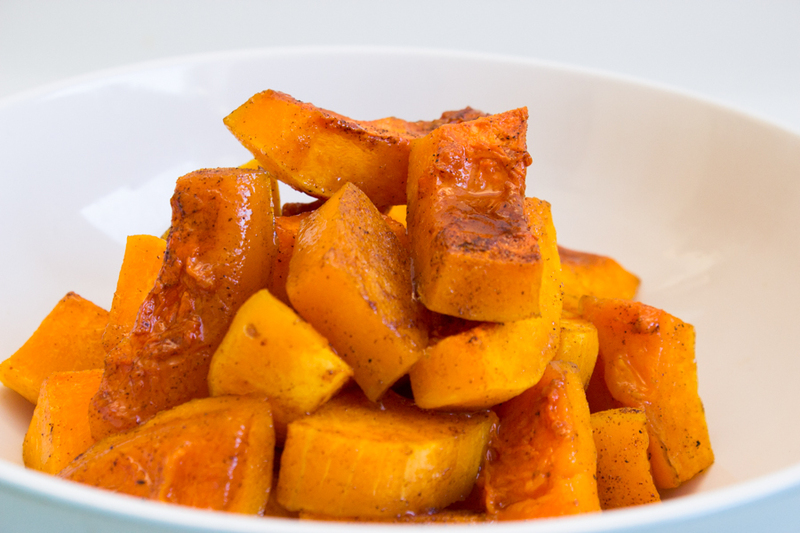 And I totally agree – pretty hard to go wrong with an amazing roasted butternut squash recipe! Yum! Pretty, pretty pics, too! 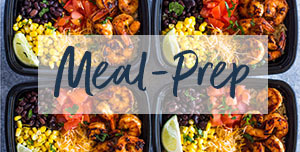 Can’t wait to see what you cook together next! I made something like this recently. I used maple syrup, cinnamon and olive oil. It was so good! This is a great recipe you have here, Layla! I think using maple syrup is a great idea! It’s very similar to brown sugar but a little more healthier. I’m going to try using maple syrup next time. Thanks, Julie! Oh what a nice story is behind this recipe. I like to imagine the way food is prepared and in this case my imagination is happy 🙂 You two making something together… it is such a sweet thing! You are completely right Daniela! I too feel that way!! 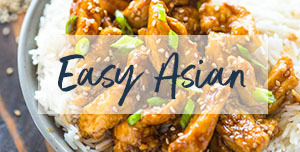 Love how simple and tasty this is! 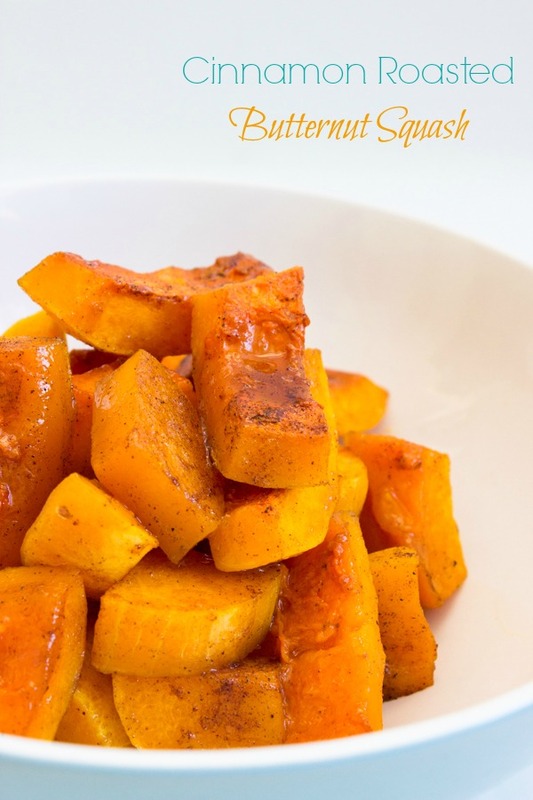 Roasted butternut squash is my favorite side dish..orrrrr meal! I hear you! 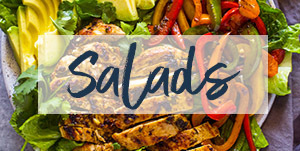 It’s a much healthier alternative to the mighty fries! 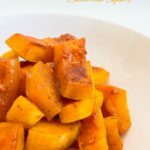 I love roasted buttenut squash and these sound wonderful with the cinnamon and brown sugar 🙂 That’s awesome that your husband wanted a cooking lesson, what a perfect first dish to make – looks fantastic! So glad you liked the Kelly! Thanks 🙂 Have a great weekend! 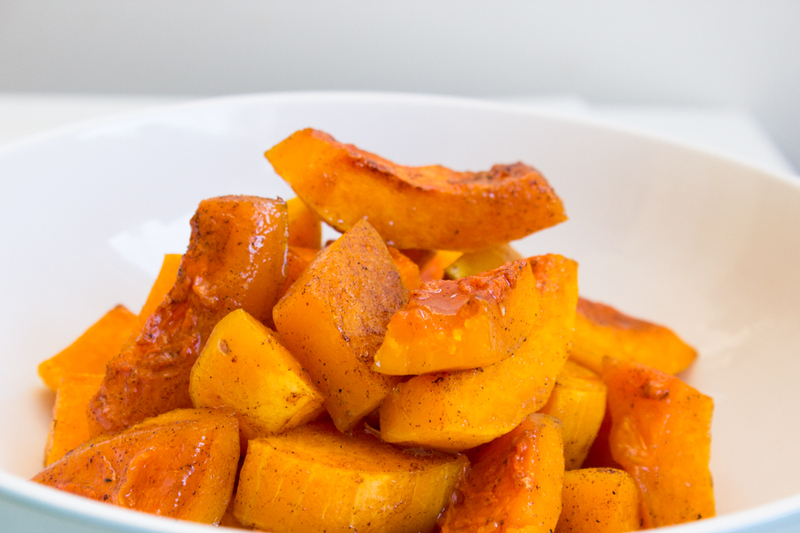 Butternut squash is the BEST of all the squashes! This sounds and looks so delicious and full of flavours. Yum! I love butternut squash. 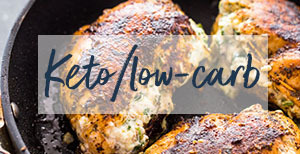 This sounds deeeeelish. Love the simplicity of your photos! Butternut squash is seriously one of my faves. I must try this recipe!